A balanced-arm lamp, sometimes called a floating arm lamp, is a lamp with an adjustable folding arm which is constructed so that the force due to gravity is always counteracted by springs, regardless of the position of the arms of the lamp. 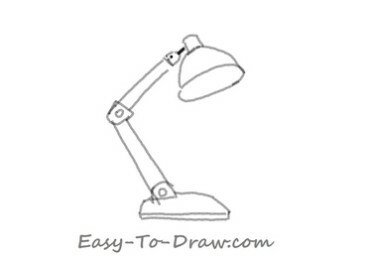 Many lamp brands (such as the Anglepoise, originator of the concept, and Luxo L-1) as well as other devices, such as drawing boards, use this principle. A balanced-arm lamp has a base, two connected arms fitted with springs, and a lamp-head. The lamp can be moved into any position, and the springs will maintain the position until moved again. The same mechanism can be employed in other devices with similar requirements, such as copy holders for typists and some computer display holders. 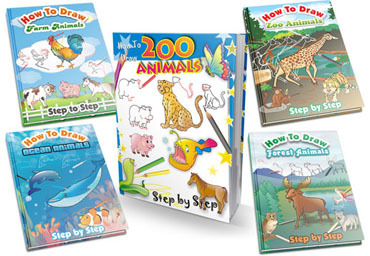 Here are the steps to draw Cartoon Lamp. Enjoy! 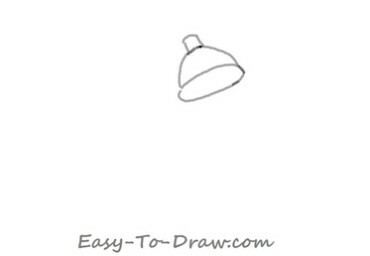 Step 1: Draw a lampshade with a circle and a semi-circle. 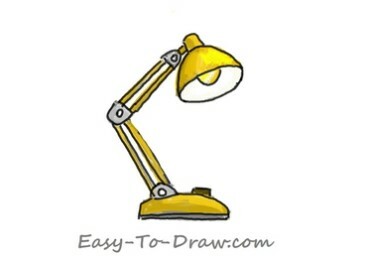 Step 2: Draw the folding arm and the lamp-holder. Step 3: Draw a bulb in the lampshade and a switch on the lamp-holder. Step 4: Color a part of the desk lamp dark yellow. Step 5: Color the screws and the base of the lamp-holder grey. Step 6: Color the outline of the lamp black. 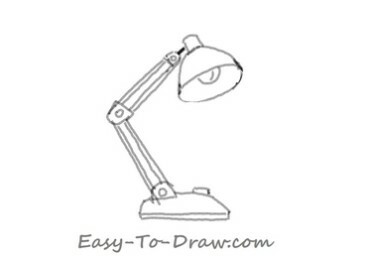 Desk Lamp Video Drawing Tutorial for kids!